Dr. Sherman has worked with clients who have to contend with a new diagnosis or illness. It can be scary to consider the possibility of new symptoms or a shortened lifespan but it is often a transition to new coping skills and looking deeper at your life. Many times these clients question why they are here, what they want to do with their lives and who is most important to them. Illness can often spark a spiritual journey into these bigger life questions. On a personal note, Dr. Sherman had Stage 1 breast cancer and was treated. She is now fully recovered and is doing great! 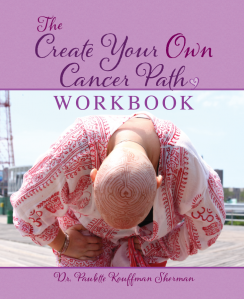 During her treatment year, she wrote two books to help other women going through breast cancer come through it with greater healing, wholeness and love. She likes helping cancer patients through this challenging journey with psychotherapy or coaching so they can come through this experience even stronger than before.